BitStamp has won the trust of many crypto-traders since 2011. They offer 15 currency pairs, which made the exchange between Euro or US Dollar as well as Bitcoin, Ripple, Ethereum etc. Bitstamp puts more emphasis on class than mass, so you really can find the most common cryptocurrencies here. More than half of the trade volume is accounted for by the BTC/USD currency pair, but the XRP/USD, ETH/USD and BTC/EUR also enjoy fairly high liquidity. 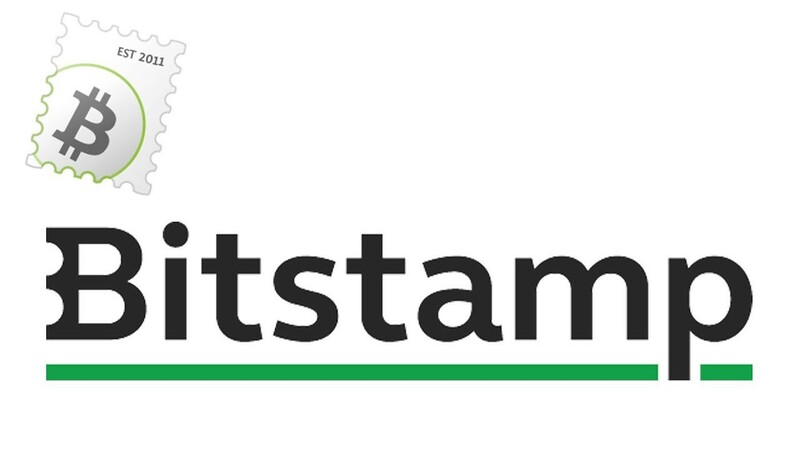 After registration at BitStamp, you will receive an email with your login information such as client ID and an automatically generated password that you should change as soon as possible. Once you have successfully logged in and changed the password, next is the mandatory verification. Due to the high demand, verification of the account can take several weeks to months. You should be prepared for this when registering for the first time. With this, BitStamp asks for some personal master data. You will be asked to upload a photo of the front and back of your ID (driver's license or ID card) then provide a document that can serve as proof of residence. That could be an official notification with your address on it or a utility bill of the last three months. Before you start trading, you should still make some personal settings and security precautions which definitely includes the 2-factor authentication. You must activate the "Withdrawal E-Mail Confirmations". This means that you will need to confirm your changes by email before they become effective. This ensures no one gains access to your BitStamp to jeopardize your account. There is also a monthly password change already activated by default for security purposes. Be sure to use a password manager to help you through the frequent password changes. Deposits can be made with Euros or US Dollars and will be credited on the account within three days. Euros deposit made to a US Dollar account will be exchanged at a current daily rate. You may also transfer cryptocurrencies from an external wallet to the Bitstamp account which is usually completed within just minutes. When using a hardware wallet, simply use BitStamp's built-in transfer function. To add, SEPA transfer is the recommended payment method in Europe. Cryptocurrencies can also be bought using credit/debit card at the current market price, given that the card is activated for the 3D Secure process. You may choose between Instant Order (buy/sell at the current market price), Limit Order, Market Order or Stop Order when trading. If in case you want to set the buy or sell price manually, select the Limit Order. The request then appears in the order book so that a suitable trading partner can be found. Alternatively, you can also search the Orderbook for a suitable offer. The payment is again regular via SEPA transfer or on the debit card if you do not want to wait long. Particularly interesting is also the possibility to pay off the bitcoins in the form of real gold, which will be sent to the house address within five days with a shipment that is fully insured. BitStamp offers excellent security features. However, it made headlines in 2015 with Bitcoin theft. For mitigation purposes, BitStamp retains 98% of the coins in a secure cold storage. Thus, attackers can only steal as many coins as are currently online on the stock market. The pricing structure for trading on BitStamp is similar to other exchanges. Trades below $20,000 will incur a 0.25% fee. Although this drops to a minimum of 0.10% as volume increases, if you are not a Bitcoin millionaire, you will probably pay 0.25% more frequently. Deposits are free unless you choose the fast credit card option which incurs a 5% charge. Payments of fiat money by SEPA transfer cost €0.90 per order. If sending directly to a debit card, you'll be charged $10 for payments made of up to $1,000 or 2% for payments made over $1,000. Despite complaints about poor support, long account verification timeframe or credit transfer, BitStamp still enjoys a better reputation than many other exchanges. BitStamp can definitely be located in midfield when it comes to trust. The support team may be slow but very responsive overall. In addition, they offer various telephone numbers and email addresses that can be reached.